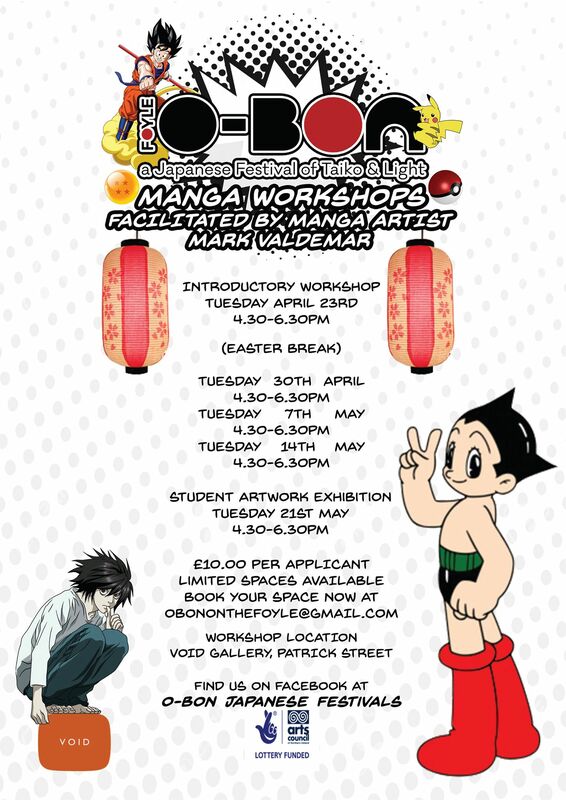 Come along to the Void Gallery to try your hand at some Manga! with Manga artist Mark Valdemar. The course will end with an exhibition of work in Void Gallery on Tuesday 21st May. the Arts Council of Northern Ireland and Void Gallery.